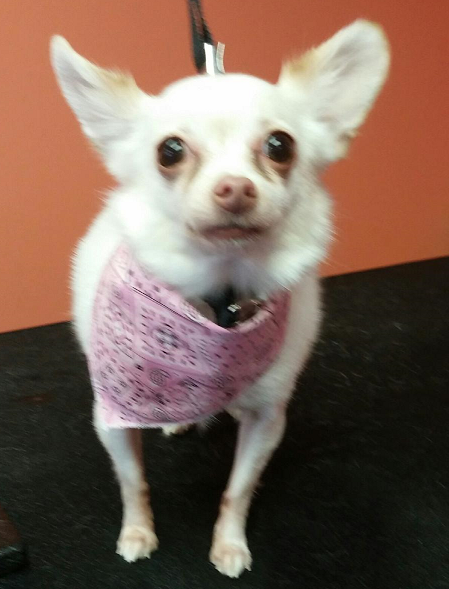 Gallery — Tails and Tangles Pet Grooming, LLC. They say a picture is worth a thousand words, and in this business we pride ourselves on being able to show you, our clientele, the skills we have acquired over our numerous years in the pet grooming industry! 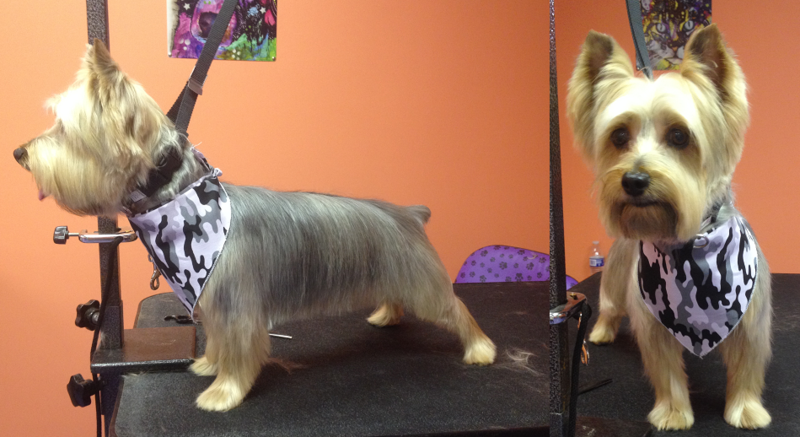 Here are some pictures of pets we have groomed in the past. 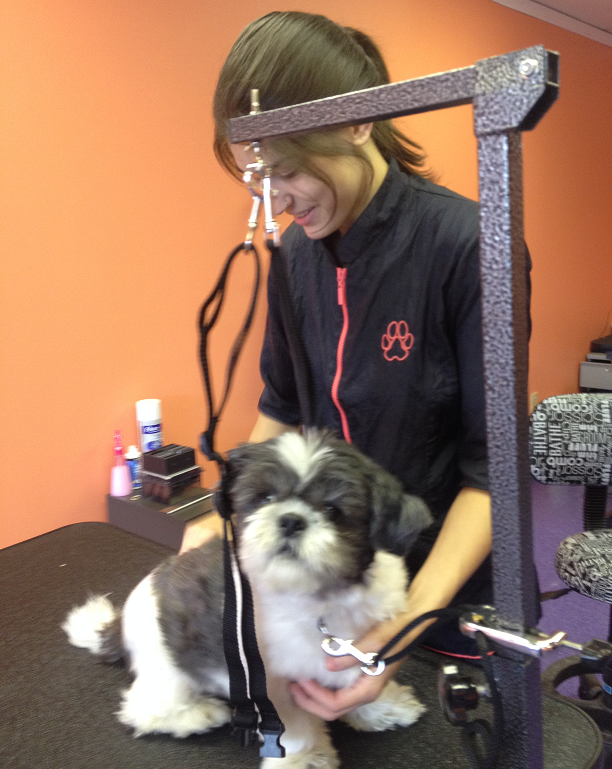 We believe it best to start your pet with professional grooming from a young age, this allows them to understand from the start that grooming is a part of life and not to be feared. We would love to see them right after they get all of their puppy shots! We promise to take the time to work with your pup, slowly taking them through the steps to living a happy and clean lifestyle. Sometimes we feel like sculptors, carving a cute dog out of a matted mess. 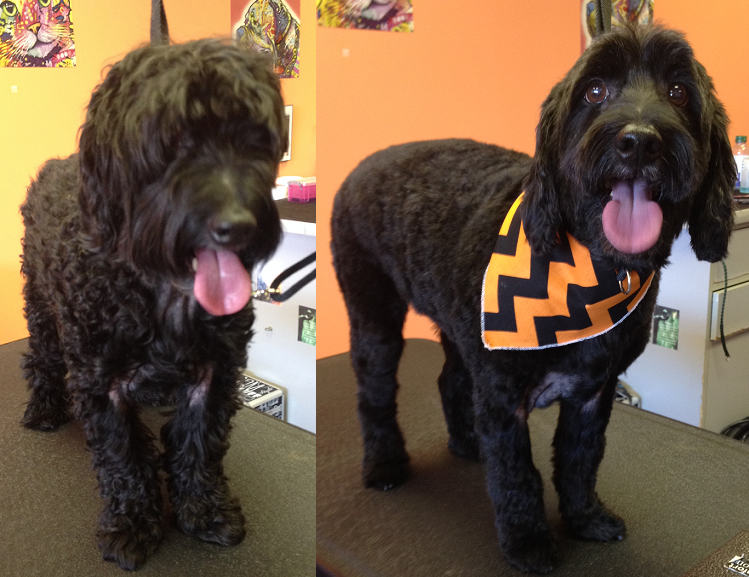 This dog was very happy once she got her clean cut, no more stinky and painful knots for her! 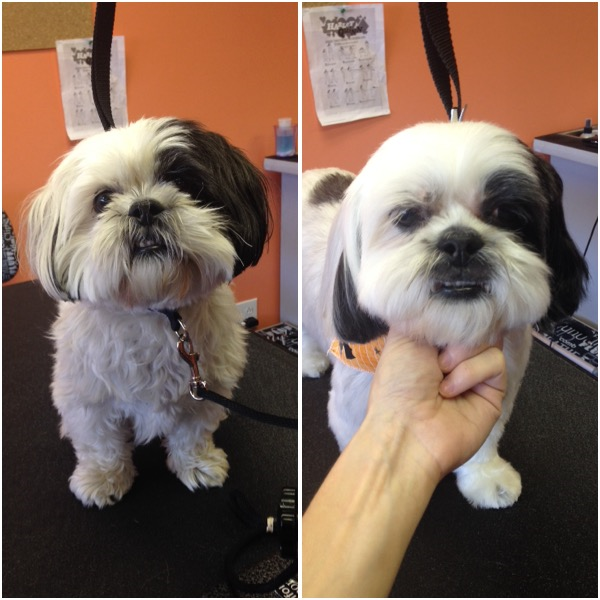 Before & After, neatening up a Cavalier King Charles Spaniel. Cats are welcome! We offer a variety of services for our kitty clients. This mixed breed got a cool, short haircut for the summer. 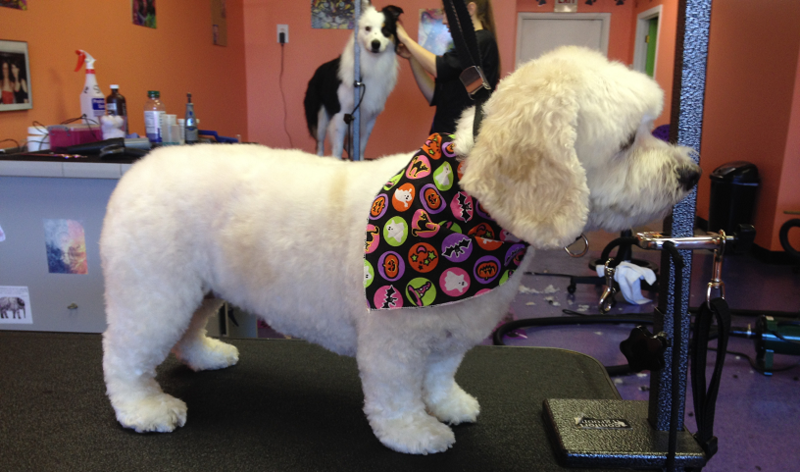 A classic poodle cut on a Miniature Poodle. A perfect example of clean Poodle Feet. 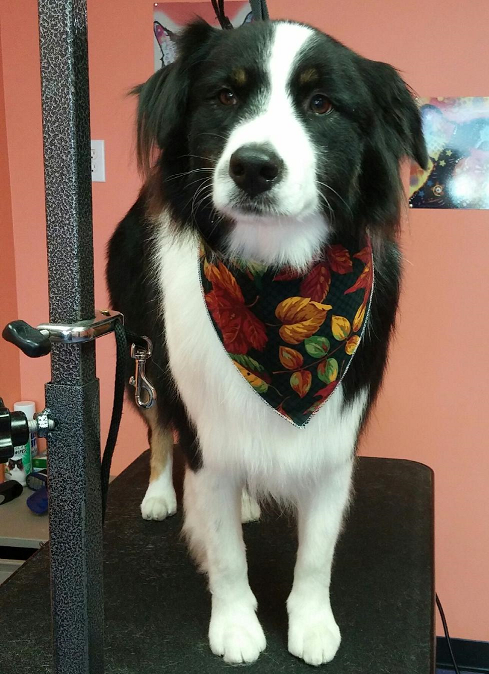 Not every long haired pet needs to get a full haircut! We can just neaten up your pet around the edges if that's all you want done. The extreme amount of matts and their tightness led to this pet receiving what we like to call a "Clean Cut". 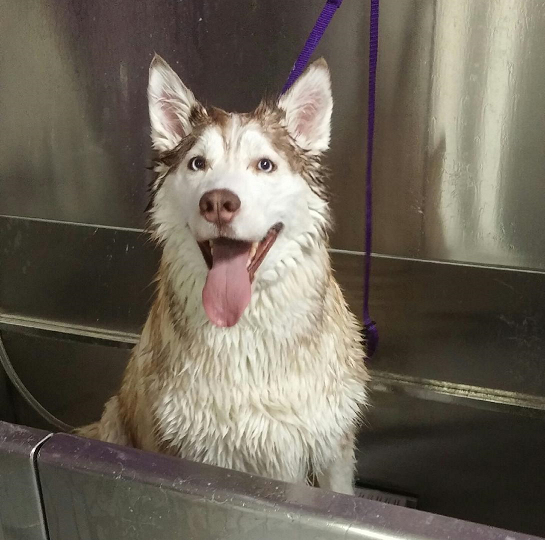 This gives the pet an opportunity to get completely clean and to grow their coat out knot-free! 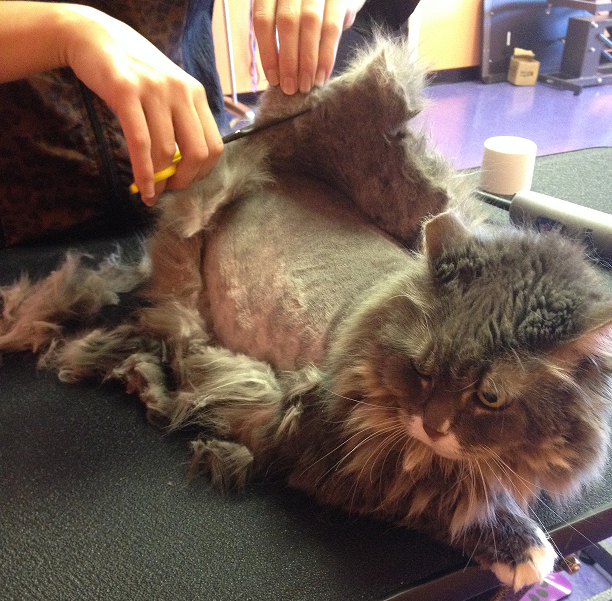 A customer picture, sent to us the day after their cat got a Lion Cut. Here at Tails and Tangles we love our kitty clients! They are housed and groomed in a separate room from the dogs to ensure everyone's happiness and comfort. Nail Trims are a must! 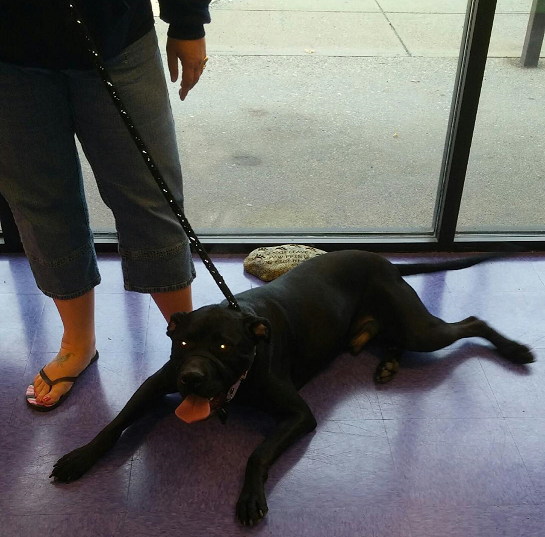 Pets require regular nail trims just like you do! If allowed to grow out too far the nails will begin to curl, painfully distorting the paw. This can also cause early arthritis to form in your dog's paws and legs. 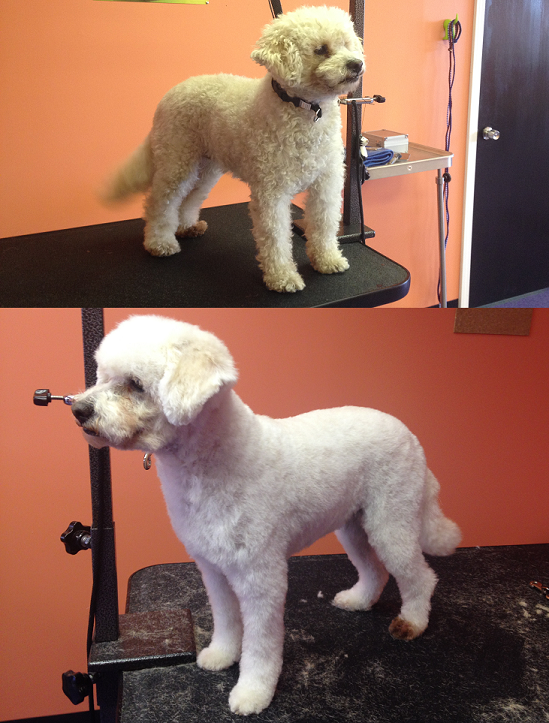 Before & After, neatening up a Bichon Frise. Does your pet's coat go through extreme shedding? Our De-Shedding package can help get rid of a lot of undercoat. A great example showing why we cannot just "cut the knots out" on extremely matted pets. 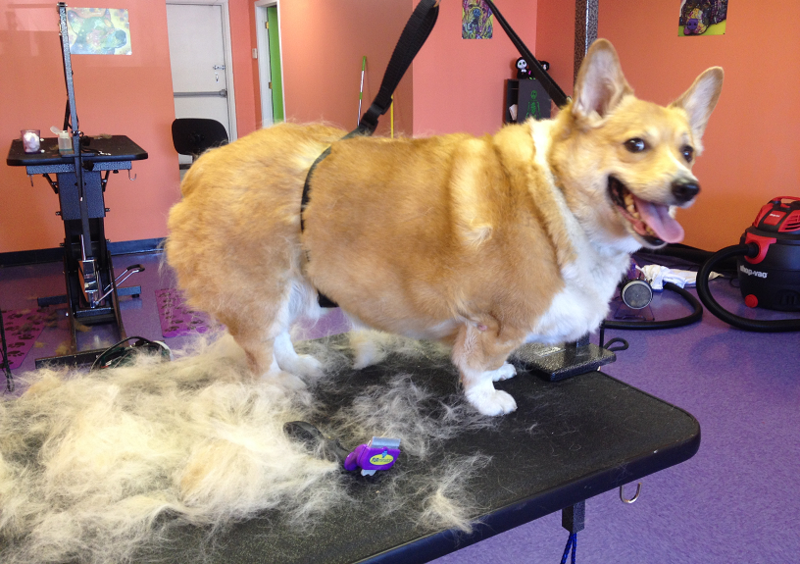 This poor dog's coat was practically felted together, making any brushing painfully impossible! A clean cut is the best and only route to take in these situations, as we value comfort over style. 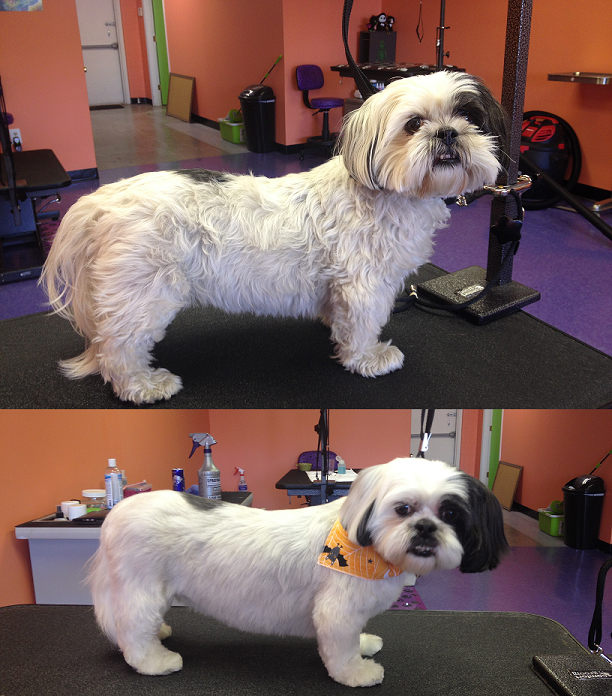 Professional grooming can do wonders for your double coated breeds! Let us handle the work and the mess, we don't mind one bit. 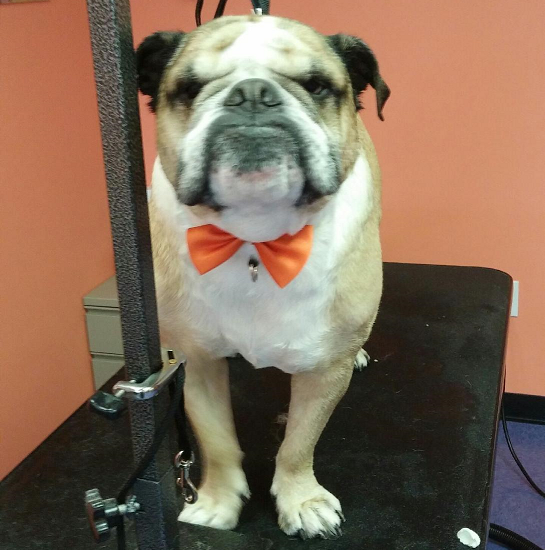 Our complimentary Blueberry Facial does a great job, especially on dogs with wrinkly faces such as bulldogs! 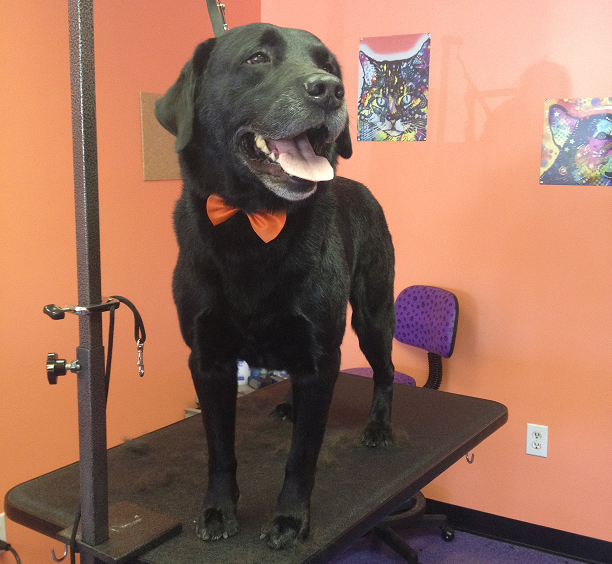 Steeler loves to come in for his spa days, he always leaves feeling clean and happy. 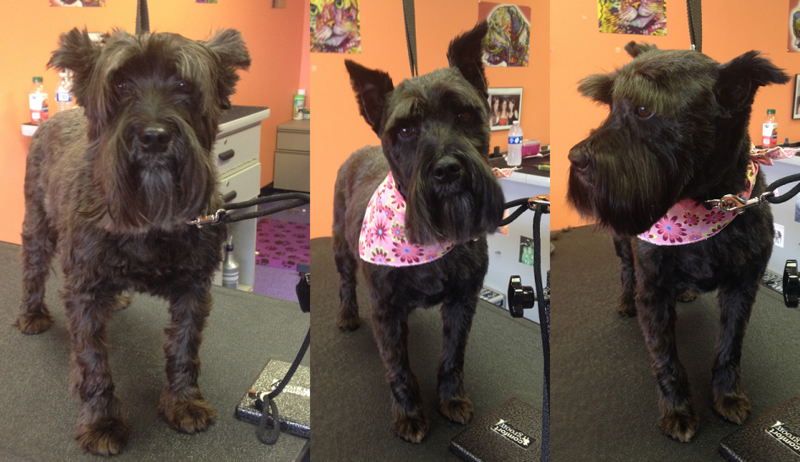 Even short haired dogs can benefit from professional grooming, our de-shedding package helps keep your home less hairy. 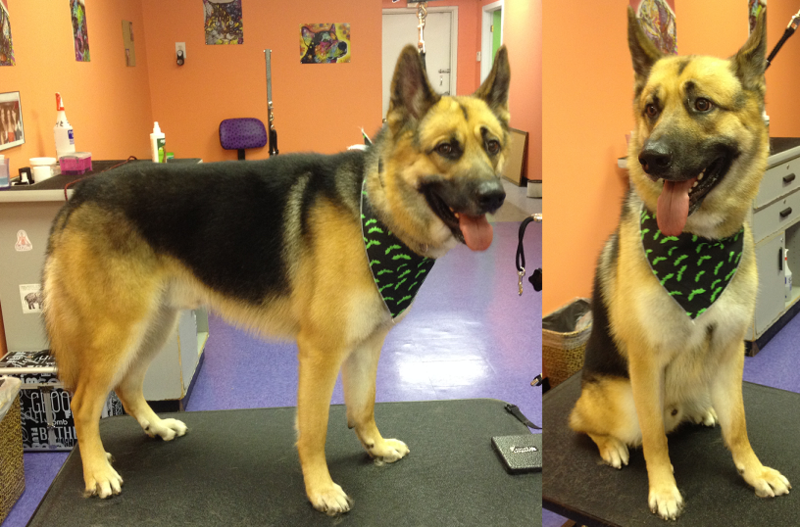 Tails and Tangles Pet Grooming, LLC.